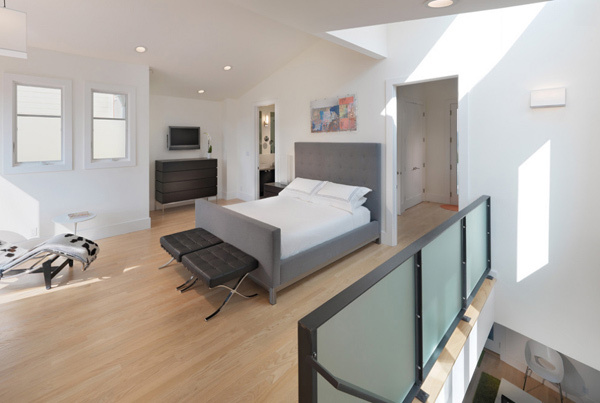 Whenever we search loft bedrooms in the internet, we are given plenty of photos of bedrooms that are located in the attic – but when we check for more options, we are given beds that are pretty much used in dormitories and such. But, we would like for you to take note that what we will be showing you are more on the bedrooms that require you to climb a stairwell or those with the irregular ceilings. 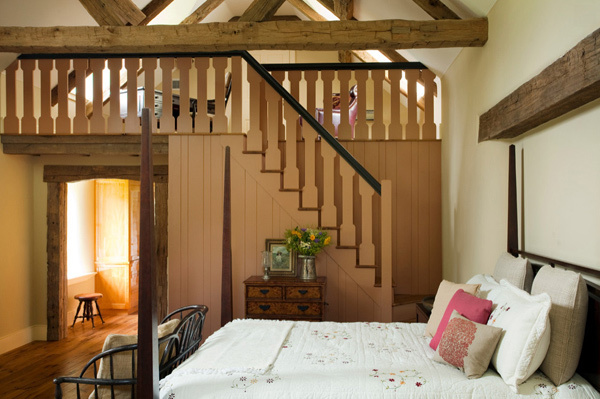 We’re not really sure how you feel about bedrooms in the attic, but for some of us, we refer to it as something which is rather romantic and cozy. It’s like a hideout for those lovebirds that want their time alone. Far from the kitchen or the living room and all the people inside the house. 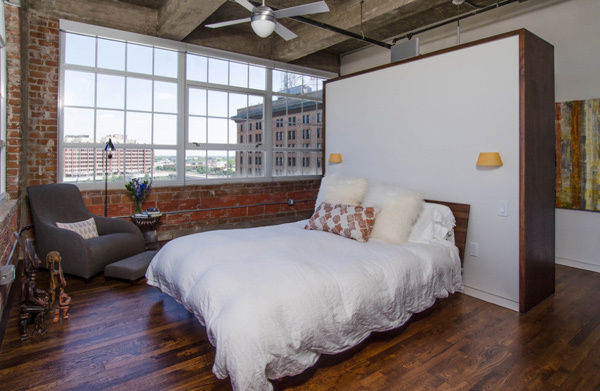 With that in mind, let us go ahead and take a look at the 15 Classy and Comfortable Loft Bedrooms below and tell us what you think. 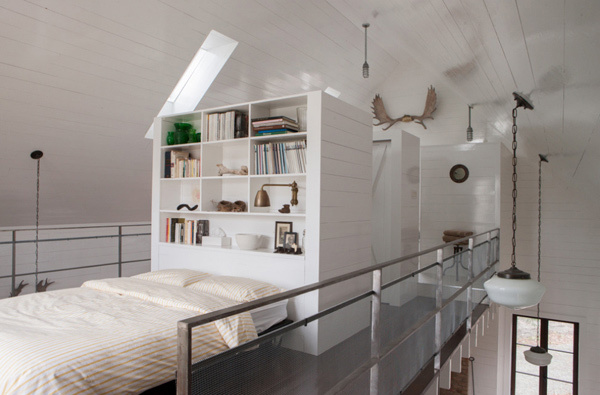 Longpré designed the top floor to maximize the space and maintain an airy, loft like feel. The combination headboard and shelving is actually the back end of a walk-in closet. You or your dad probably sweated through an afternoon of building a wooden platform, then heaving your bed on top of it so you could save an extra few feet of floor space. 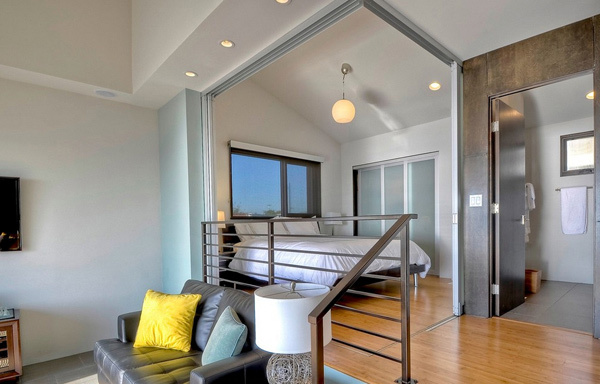 Take that idea to a new level (no pun intended) with custom built-ins and a simple platform-style bed, such as this setup. This bedroom may seem empty because of the limited decor, but note the masculinity this bedroom is exuding. We just love it. Note the beautiful hand-painted flowers by the walls. Also, a lot asked, OSB is typically the under layer or substrate to a hardwood floor or carpeting, but if well sealed it makes a unique and inexpensive flooring material. Lofts don’t have to fling you sky high. This one is just high enough to make good use of space with a built-in dresser and elevate the bed to a primary position. Notice how much of this space has been put to good use. 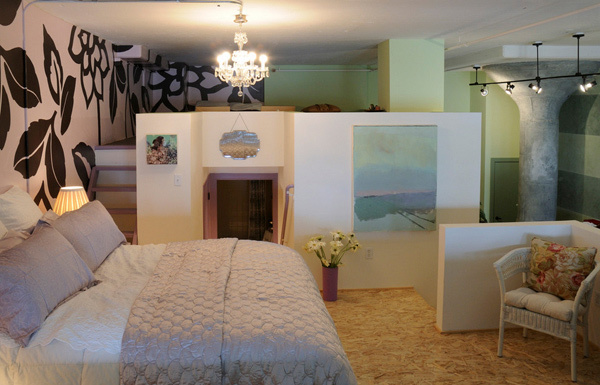 Two beds in one room but separated by stairs which is also created for storage. A custom wardrobe walls off the view of the bedroom from the bathroom. Various African fertility statues collected over the years by the owner are displayed along the floor. The colors are fun and look really playful. 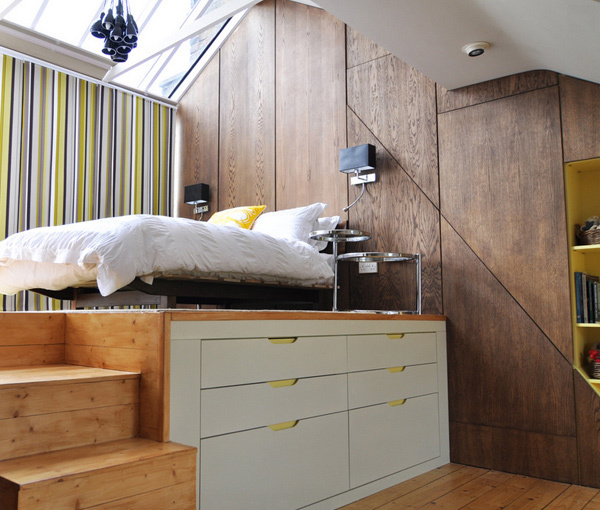 We also like the storage in the stair and the ability to put furniture underneath it. Pretty and functional. We’re you thinking what to do with a small space like this? Well, we think that you’d agree that this is one way of maximizing the function of the entire room. 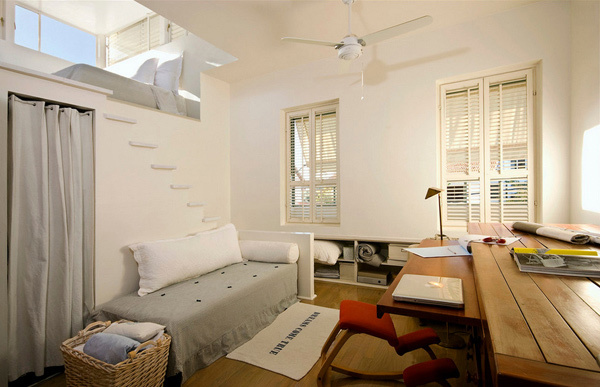 Designing rooms to be like this makes it nice since you get to save so much space – the space above the bed could be a reading nook and be simply be another room to sleep in. When space is an issue, pullout ledges offer a workspace without taking up valuable square footage. 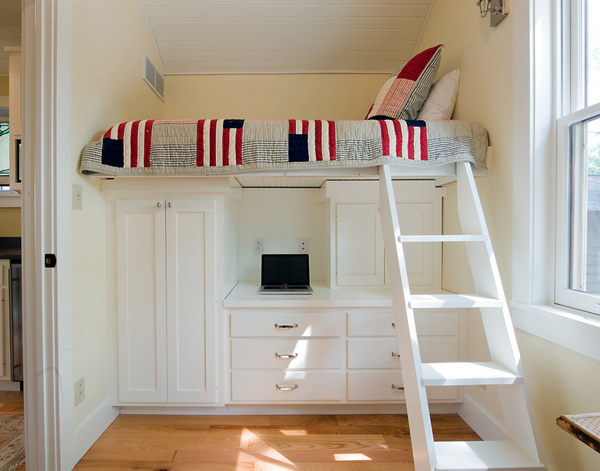 This handy built-in is just right for a child’s bedroom, and the ledge easily slides back in when it’s time to play. The idea of this reading nook above the bed is great. It’s an awesome use of space and looks amazing. It can be tricky coming up with a harmonious color palette for an open floor plan. This space, decked out in white, gray and soft greens and blues, hits the mark. Worldly urban surroundings. The restrained palette of this industrial-style room is a good match for the exciting city view of Vancouver out the window. 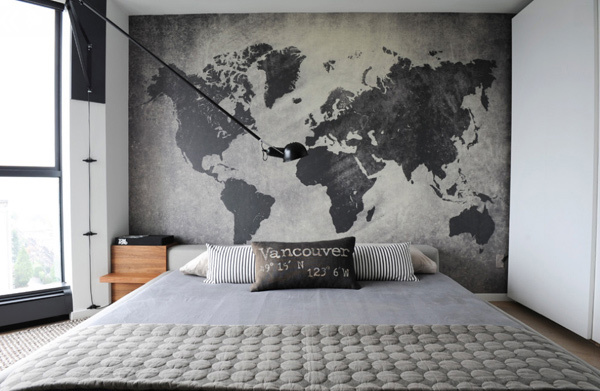 The oversize map of the world is a good reflection of how global the city has become. Here is another list we have created before about the 15 Interesting and Cool Bedroom Ideas which already applies to the contemporary and the modern men. But the 15 Classy and Comfortable Loft Bedrooms are more of the spaces fit for those in their twenties wanting more privacy in their bedroom spaces but at the same time more fun and cool to hangout in. Take a look at the pictures again and we bet you’d wish your bedroom was like one or two of the ones above. She is a former contractor assistant and BSArchitecture graduate. She is currently preparing herself to be a professional Architect. Part of that preparation is having an eye for good Architectural designs which you can see on her features in Home Design Lover.